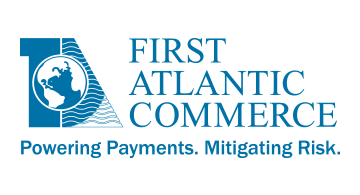 First Atlantic Commerce (FAC) is a leading global, online payment solutions provider. Headquartered in Bermuda, and established in 1998, FAC’s technology offers service, flexibility and security to adapt to many business and bank acquirer requirements. FAC provides merchants with multi-currency payment solutions in addition to fraud risk management services including AVS-only, CVV verification, 3-D Secure™ and Kount’s fraud control system, in multiple jurisdictions across Europe, Mauritius and the Latin American Caribbean Region. In addition to Card Not Present processing, FAC provides EMV/Card Present processing and PCI validated Point-to-Point Encryption (P2PE) solutions via a single API which have been designed to easily integrate with Point-of-Sale applications, removing the need for such applications to be PCI validated or EMV certified.